Whether your needs require repair, service, installation or complete design/build expertise, let Dependable Graham be your one stop shop for your chiller needs. Dependable Graham Air Conditioning is a full service company offering maintenance, service and installation. We also support our in house sheet metal design, fabrication and installation shop. 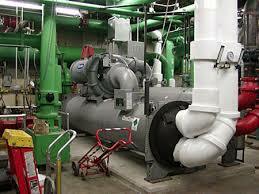 We can work with you on any of your hydronic systems and equipment reliability needs. The combined experience of our staff is second to none. With our project and service teams we can take any project from inception to completion including design and construction. After completion of the project we provide custom maintenance programs to insure the proper operation of all mechanical systems.